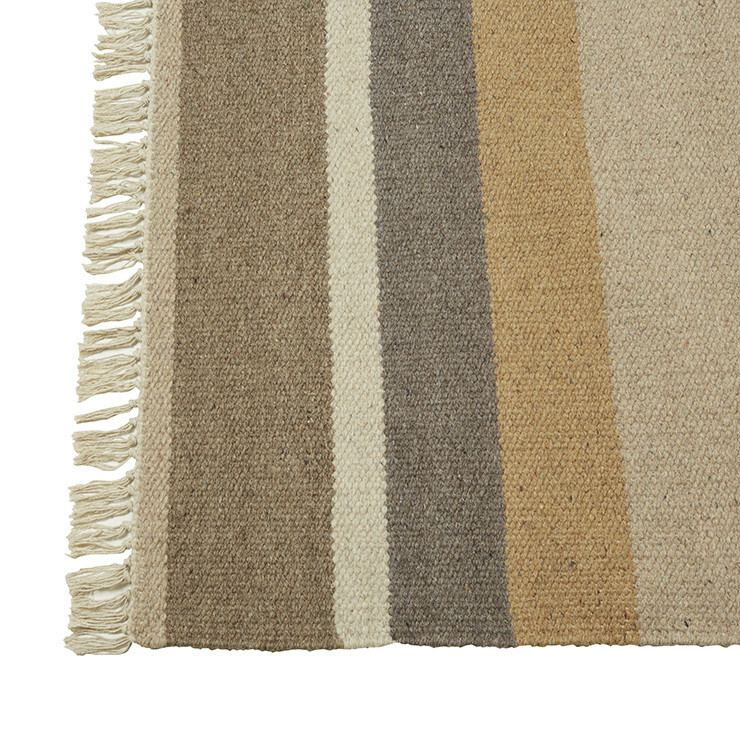 The Dakota rug is hand woven from all natural materials, and with its muted palette of warm tones and neutrals it will add a sense of depth to any room. The tassels lend a feel of tradition to this updated flat-weave rug, making it a great addition to any high traffic area in your home. 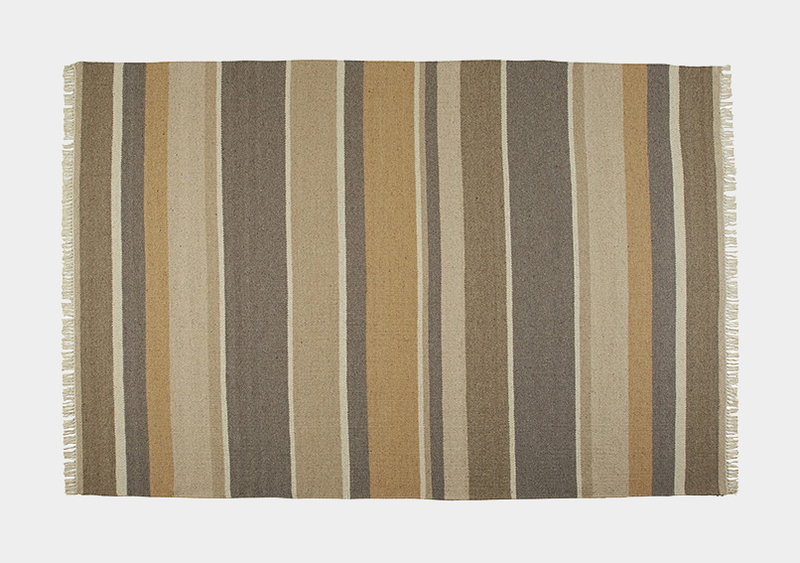 Beautifully textured flat-weave rug made from 80% wool and 20% cotton in flecked neutrals with a minimal pattern. Durable and ideal for high traffic areas and family living.